A radiant appearance begins with healthy skin! Familiprix strives to offer beauty care products that are suitable for the most sensitive skin. It offers dermocosmetics for skin, nails and hair care. Exclusive to Familiprix, Vitry’s Longcils Boncza cosmetic products for the complexion, eyes and lips are dermatologically tested and hypoallergenic. They combine beauty and care with active ingredients that contribute to healthy skin. The Marcelle product line is recognized by the Canadian Dermatologists Association. Marcelle products are made in Québec and suitable for your beauty care routine, regardless of your skin type or the season. 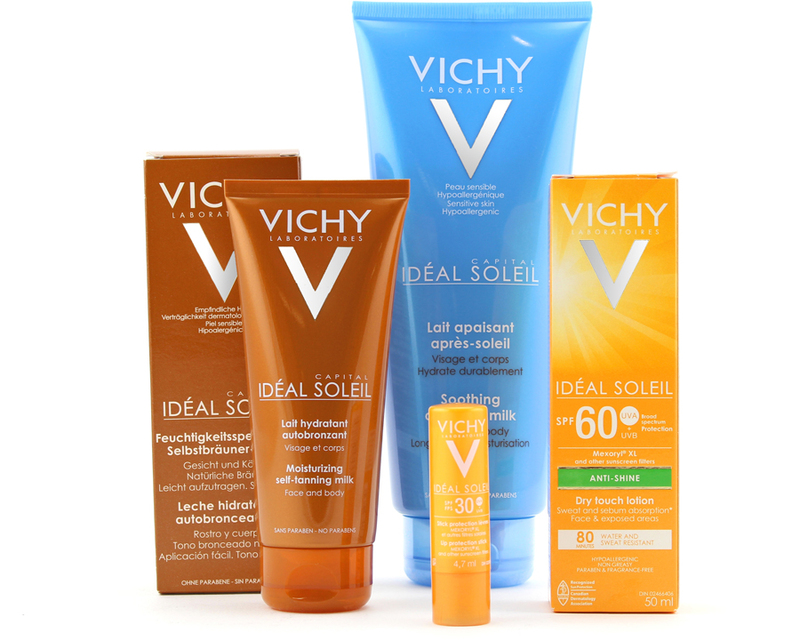 For more sensitive skin, we offer a range of non-comedogenic sun care products (which do not cause blackheads), that are little or non-scented, non-allergenic and non-irritating, such as those from La Roche-Posay, the brand most recommended by Canadian dermatologists for sunscreen products. Each dermocosmetic team will help you select products that are suitable for all skin types and, especially, and ensure preventative care. Thanks to their sunscreen expertise, they work to educate about and prevent damage caused by the sun. They inform and advise customers about proper sunscreen application, preventative measures, care and monitoring. Note that 80% of the sun’s rays can penetrate dark and heavy clouds as well as fog. Some medications make the skin more fragile. It is our duty to advise you on proper sunscreen protection. Overexposure to the sun may also cause photo-aging, and thus the appearance of premature wrinkling. Whether you use SPF 30 or SPF 60 sunscreen, it is important to reapply it every two hours and after swimming[source]. Diligent use of sunscreen over the first 18 years of life reduces the risk of developing non-melanoma skin cancer by 78%[source]. « UVB rays, whether natural or artificial (like in a tanning salon), cause 90% of skin cancers. In North America, the frequency of basal cell carcinoma, the most common type of skin cancer, increases by at least 5% every year. About 78,000 new cases of non-melanoma skin are diagnosed annually in Canada. This is why it is necessary to protect our skin every day. »[Source]. Don’t hesitate to seek advice from your Familiprix-affiliated pharmacist about minor acne, atopic dermatitis, foot care or other skin problems.